Celery contains impressive amounts of vitamin C and K, as well as folate and potassium, but what happens when you juice it? The new year is officially upon us, and with it, of course, comes the onslaught of potions and miracles to “melt” belly fat, give abundant energy, enhance digestive health and make skin glow. The question is, which products really work, and perhaps more importantly, have actual science behind their claims? A new contender in the market is celery juice. It’s trending on social media sites, in health food stores and in coffee shop conversations as the latest cure to anything that ails you. But does it work? Let’s be clear: Celery is awesome. That’s because it’s a plant, and every plant has benefits. Literally every single plant. If it comes from a tree, the ground (that’s where celery is grown), or a bush, you can be sure that it will be linked to improvements in your health. Celery contains impressive amounts of vitamin C and K, as well as folate and potassium, and studies show that celery may help to fight against cancer and liver disease, reduce inflammation (especially for brain-related diseases) and boost cardiovascular health. Celery contains flavonoids (powerful phytonutrients with antioxidant properties) that are abundant in numerous plants. With only 7 calories, 1/2 gram of fiber and less than 1 gram of sugar per rib, celery can also be a smart addition to any weight-loss plan. So, if celery can help shed pounds and fight disease as studies show, then the juice should too, right? Not so fast. 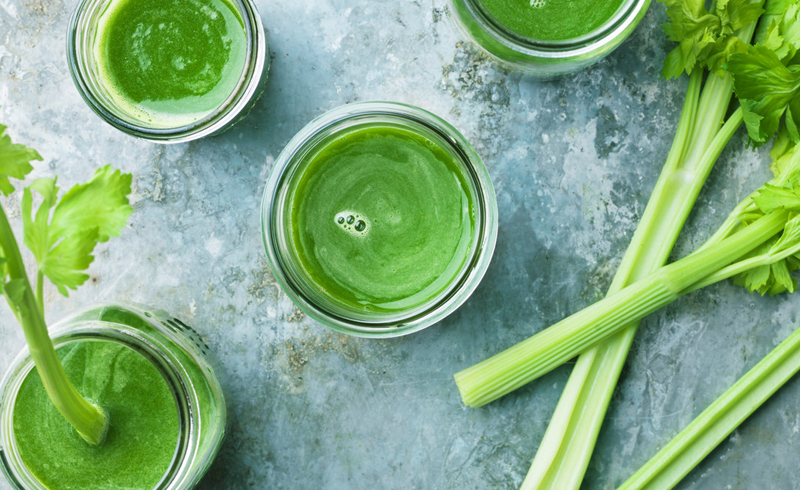 Celery is just one option in a booming juicing business. Most dietitians and physicians I have worked with have found the juicing trend to be frustrating. We all are born with an amazing detoxing wonder already — the liver. You know, that organ we forget about from time to time while we focus on sexier options like our heart, brain and gut? Your liver takes care of all detoxing needs, as long as you treat it right. It doesn’t need an expensive potion to work well, it needs plants, physical activity and a healthy weight to thrive. Celery juice is not the miracle that will fix or enhance it. Things change a bit when the juice of the celery is extracted. First, everything (but the fiber, which goes away) becomes concentrated. This is an important distinction since the fiber is one of the reasons why celery helps with weight loss in the first place. Fiber makes you fuller, longer and also contributes to good gut health as well. Any sugar that is found in celery will also be concentrated so even though the total amount is low, the sugar content will increase slightly. On average, an 8-ounce serving of celery juice will cost you about 70 calories, and 11 grams of sugar. That’s just if you get a juice option that has only celery, which is actually not easy to find because the juice itself is quite bitter. Most of the popular options are mixed with other juices to make it more palatable, which can cost you a lot more calories and sugar. In fact, some juices will add in other vitamins, minerals or herbs to their mix for extra detoxing magic! You pay for the potion, but here’s the problem: There’s no evidence that the potion does anything at all. Though many studies on celery itself exist, large human studies on the juice alone are hard to find. Turns out, you could have bought an entire stalk of celery for a fraction of the cost and more benefit. As a dietitian, I often wonder when we switched gears in thinking that plants needed to be manipulated in some way to get the benefits. Juices, pills and powders dominate while the original versions (plain old fruits and vegetables) are still lacking in the American diet. 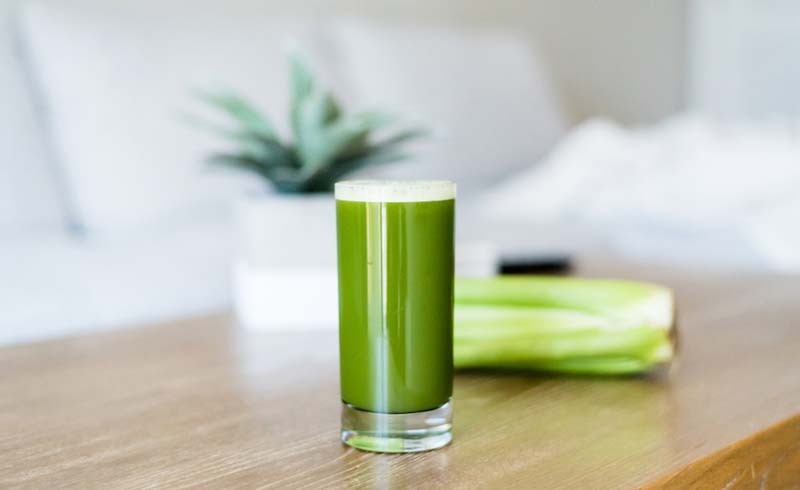 Celery juice is by no means bad for you — it’s clearly a better option than sodas or other sweetened beverages, and is considered safe. We should not, however, fool ourselves that it can reverse an unhealthy diet, reduce belly fat or cure a chronic condition. Instead, it can be a great addition alongside a whole foods approach that incorporates plenty of fruits, vegetables, healthy fats, whole grains and lean sources of protein. No drink can replace a healthy diet. Spend your money in 2019 on actual food instead.